I could go on, and I have before in various essays, about the dichotomous treatment of women as either virgins to be desired or whores to be degraded. This image is sadly commonplace enough that we’ve all seen it perpetuated in our collective folklore and popular culture. 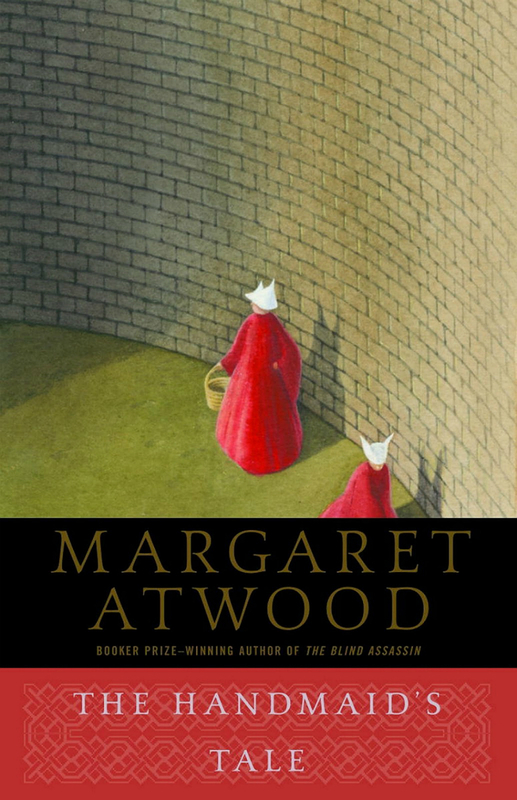 Perhaps nowhere have I seen that better explored than in The Handmaid’s Tale, the book by Margaret Atwood, and the Hulu television series that it inspired. In the eighth episode of the first season of the series, the main character, who has been kept as a domestic slave and biological commodity, is allowed to go out on a “date” with the man to whom she is nothing more than a possession and an asset. Upon arriving at a clandestine location she is exposed to a secretive world of sexual exploitation and fetishism where the alternative to being a human broodmare is prostitution. This, in my eyes, so encapsulates the way that women today are treated and why it is so important for everyone to be concerned about gender equity. Girls and women are expected to go along with a program of domesticity and tranquility (i.e. subservience and docility) or they are relegated to a lower position of sexual exploitation. In both of these scenarios, a woman’s intelligence, her sexual, reproductive, and bodily autonomy, and her prospective social contributions are stifled solely for the benefit of men. This is plainly and simply unacceptable. Social mobility should not depend on upon sexualization or objectification. The following song lyrics were written with that in mind and to emphasize that coercion, compliance, and conformity are not substitutes for consent. Elizabeth Moss as June/Offred and Joseph Fiennes as Commander Fred Waterford in “Jezebels”, season one, episode eight of the Hulu series adaptation of “The Handmaid’s Tale”. Some people don’t like to read because they find it dull and tiresome. Others struggle to read because of educational disorders or poor vision. Because literacy is so important, and because this is September and it is National Literacy Month, here are a list of quotes showing the many reasons why books are perhaps mankind’s greatest creation. Even in its most benign form, the practice of censorship is an undeniable violation of a human being’s inherent right to express his or herself, and any policy which allows for censorship is detrimental to the foundation of a progressive society. Generally, censorship has been utilized by organizations (be they political, religious, commercial, or social in origin) as a way to suppress unpopular ideas, opinions, or viewpoints, particularly if they suggest a dissenting perspective. While many people may associate censorship with foreign dictatorships or the corporate media, the issue is far more expansive and pervasive. Indeed, censorship has prevented the exchange of information for many, many centuries and its history is arguably as old as our own. At its core, censorship is a way to restrict people from self-expression and limit their exposure to ideas. By controlling the public’s awareness of and access to certain information outlets that may be deemed controversial or subversive, authoritarian powers are able to place a stranglehold on the collective perception of a community. Often the application of censorship is accompanied by the use of propaganda, disinformation, or materials with which opinions can be swayed in favor of one party or against another. While these techniques are nothing new, the methods of enforcing them have greatly evolved over the centuries as technological advancement has occurred. In today’s world, censorship is so common (as is the use of propaganda and disinformation) that the average citizen of most highly populated countries is likely to be affected by it in some manner on an almost daily basis. As such, paranoia regarding the media has also become common. While questioning the validity and integrity of information and its source is necessary in the world’s modern sociopolitical arena, mistaking editorialization with censorship has become an increasingly frequent problem that tends to exacerbate hostilities between people of opposing viewpoints. To prevent unnecessary debate and conflict, it is then necessary to create crystalline definitions that lay down the extent to which free speech can be limited, altered, or discouraged altogether. Below are definitions of censorship, editorialization, propaganda, and disinformation taken from the dictionary. ed•i•to•ri•al•ize (ed´ə tô ré əl ĭzā´shən) n.
prop•a•gan•da (präp é gan´da) n.
dis•in•for•ma•tion (dis in´fər mā´shən) n.
What’s interesting about these definitions is how purposefully vague they are. It’s clear that on a person-to-person basis, the way that censorship, editorialization, propaganda, and disinformation are perceived will vary from one person to the next, thus causing these words to be defined as much by our own perspectives as by their very nature. Failing to establish a definitive, universal set of guidelines as to what constitutes these acts may at first appear unhelpful, but in their subtle ambiguity we can also find the very freedom that these acts negate. To truly understand these concepts, one must look not to their definitions (as these metamorphose and evolve over time), but rather seek out their meanings through the history of their existence. In the following essay, I shall attempt to illuminate said history and provide readers with the information needed to form their own philosophical stance on the matter.